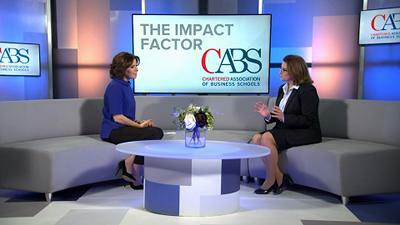 Southampton Business School features as a case study in the launch of 'The Impact Factor', a news and current affairs-style programme, reporting on the impact of UK business schools have on the UK's economy and society. Introduced by National newsreader Natasha Kaplinsky, ‘The Impact Factor’ combines a series sponsored editorial content in the form of interviews, reports and case studies from leading business schools, including Southampton, who are creating industry-leading research, improving education standards and developing future business leaders. Southampton Business School’s case study in the programme focuses on its current research into sustainable practices within the UK’s hairdressing industry. Dr Denise Baden, Associate Professor at the Business School is principal investigator on the Economic and Social Research Council (ESRC) grant: Embedding Sustainability in the Hairdressing Curriculum – Sustainable Solutions for the Hair & Beauty Sector. Dr Baden also won the ESRC Outstanding Impact in Business and Enterprise award for the featured research project, which has involved developing a virtual salon training programme and associated sustainable/salon certification. Dr Baden’s Eco Hair and Beauty project is introducing sustainable practices to reduce carbon footprint and cut costs in the UK’s £6.2bn hairdressing industry. Adopting the project’s eco-friendly practices can save the average four-seat salon 286,000 litres of water, 24,150 kWh of energy and £5,300 per year. The Chartered Association of Business Schools is the voice of the UK’s business and management education sector. They support members to maintain world-class standards of teaching and research, and help shape policy and create opportunities through dialogue with business and government. The UK’s business schools contribute over £13 billion to the UK economy annually through their teaching, research and wider impacts. They teach more students than any other subject in UK universities. Business and management graduates go on to lead global businesses or become entrepreneurs, contributing to our dynamic economy. Business school research has an impact across society and helps to turn our capacity for invention into viable businesses. Our members consist of 120 business schools and higher education providers, as well as affiliate stakeholders, corporate members and international partners.